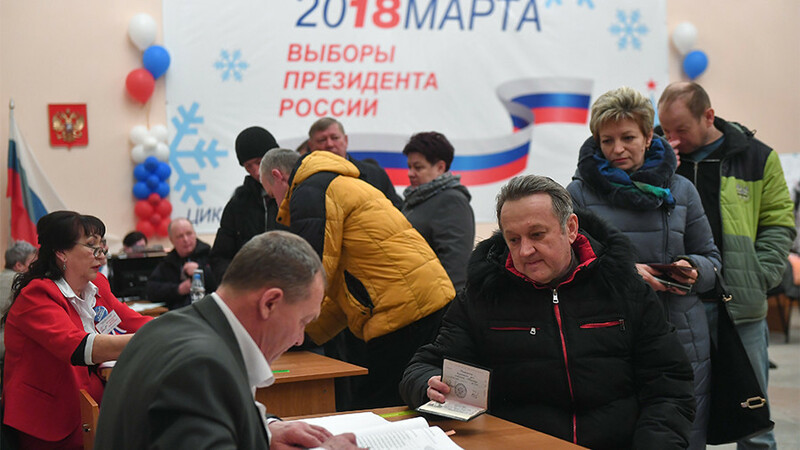 Russians are casting their ballots in the presidential election, as polls opened from the Far East region of Kamchatka to the western exclave of Kaliningrad. Eight candidates are vying for the post of president. 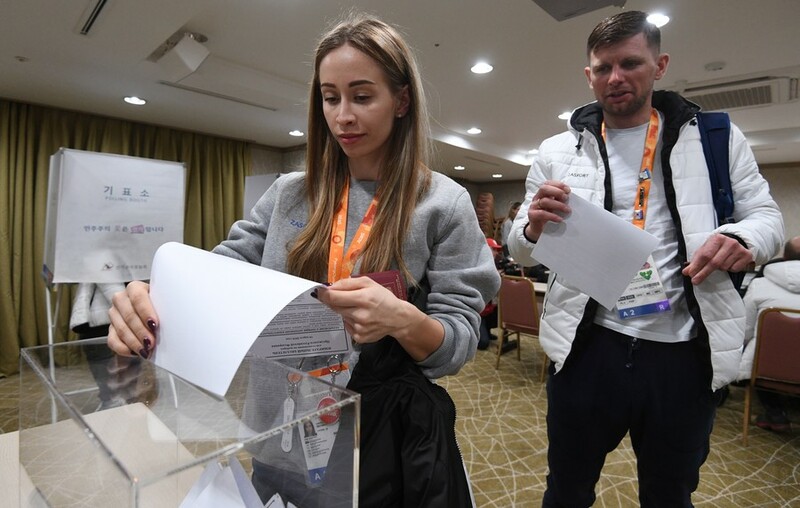 The vote will last for a total of 22 hours, as Russians across all the country’s 11 time zones, spanning from Kamchatka and Chukotka in the East to the westernmost enclave of Kaliningrad, will be heading to polls on Sunday. First polling stations welcomed early voters at 8:00 am local time [20:00 GMT] on Saturday in Kamchatka and Chukotka regions, followed by the island of Sakhalin an hour later. 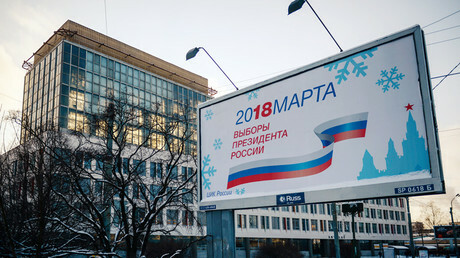 In Moscow, the voting started nine hours later, at 5:00 am GMT, and will proceed until the polls close at 8:00 pm [17:00 GMT]. 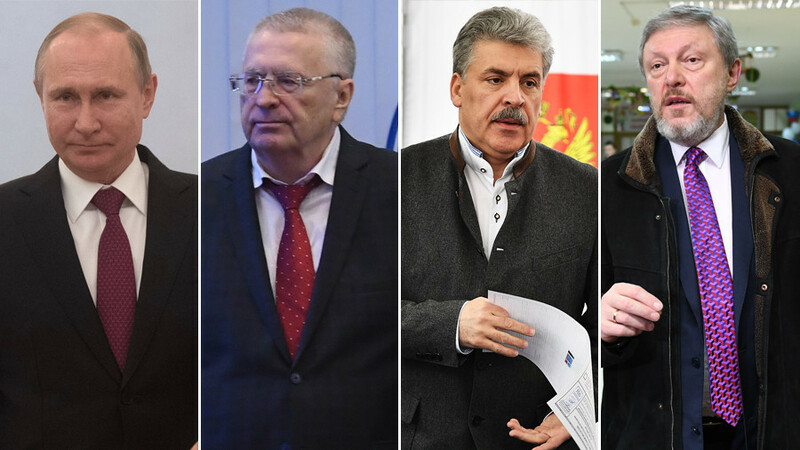 The incumbent Russian President Vladimir Putin, who is running as an independent, the Communist Party candidate Pavel Grudinin, the liberal Yabloko party candidate Grigory Yavlinsky, Liberal Democratic Party of Russia candidate Vladimir Zhirinovsky, Russian All-People's Union candidate Sergey Baburin, Maksim Suraykin from the Communists of Russia, and Civic Initative’s Ksenia Sobchak have all cast their votes at polling stations in Moscow. Boris Titov, the Party of Growth candidate, voted along with his family in the village of Abrau-Durso in the southern Krasnodar region. Voters in hard-to-reach places – and even in space – had their say in choosing the president, having cast their ballots in advance. More than 170,000 Russians voted in remote parts of the Far East, Siberia and Northern Caucasus. Polling stations were set up in seven Polar stations in the Antarctic. For those out at sea, polling stations were open on 218 ships, including fishing boats, transport and scientific ships. More than 7,600 sailors on duty used their right to vote. A Russian cosmonaut at the International Space Station also participated in the polls. In a video call with the Central Election Commission, cosmonaut Anton Shkaplerov said he “expressed his civil position” and cast his ballot despite being in orbit. More than 8,000 staff at the Baikonur Cosmodrome in Kazakhstan voted as well. As of 09:00 GMT Sunday, some 34.72 percent of the electorate had turned out at the polls, according to the commission's figures. First results will be announced no sooner than 9:00 pm Moscow time [18:00 GMT], after the voting ends in Kaliningrad, which is an hour behind Moscow time. RT will bring special coverage of the elections starting at that time on Sunday. Overall, 97,000 polling stations, 400 of them located abroad, are hosting the elections. Over 108 million citizens in Russia and nearly 2 million outside are eligible to take part in the vote. Some 30,000 Russians have already cast an early ballot vote from abroad, Russia’s Electoral Commission said. It is expected that the majority of those who live in foreign countries or happened to be outside Russia on the day of the presidential ballot will be able to vote on Sunday. This is not the case in Ukraine, as it has barred Russian citizens from voting in the Russian diplomatic missions on its territory for what Kiev claims are “illegal” elections in Crimea and the city of Sevastopol, that reunited with Russia in wake of a popular referendum in March 2014. 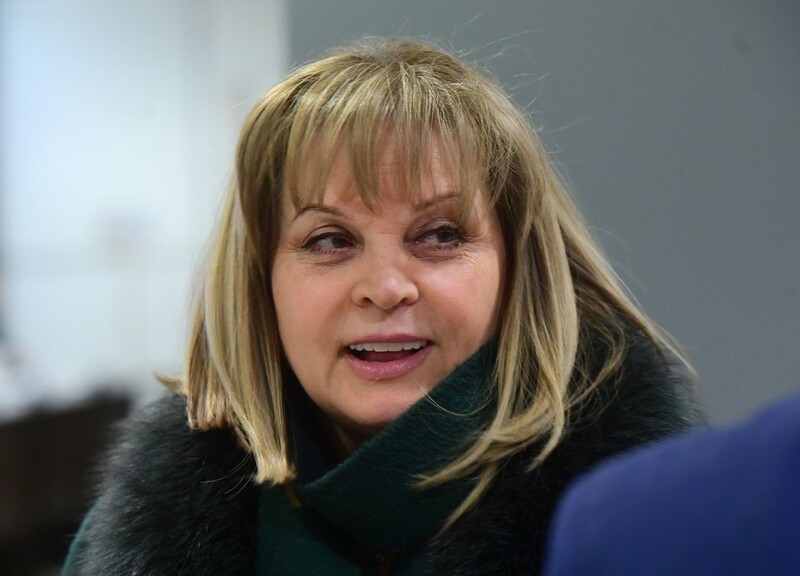 The website of Russia’s Central Election Commission came under a distributed denial-of-service (DDoS) attack after the voting started, according to chairperson Ella Pamfilova. Lasting from 2am until 5am on Sunday, the DDoS attack originated from some 15 countries. 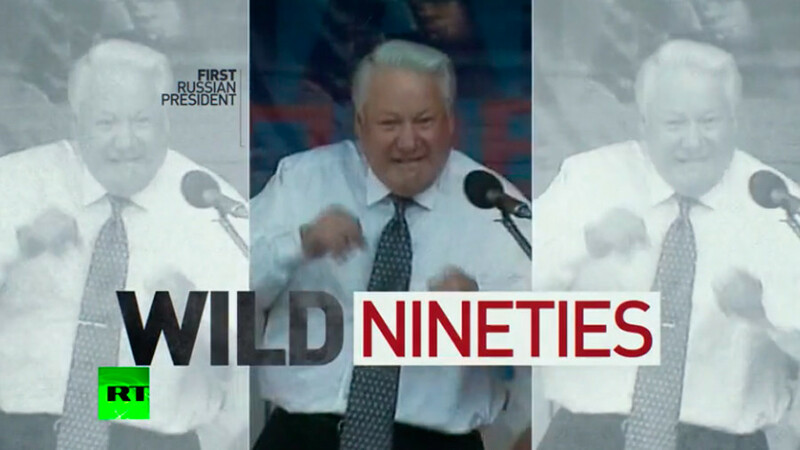 Russians will have to pick one of the eight candidates on Sunday: Pavel Grudinin (Communist Party of the Russian Federation), Vladimir Putin (independent), Ksenia Sobchak (Civic Initiative), Vladimir Zhirinovsky (Liberal Democratic Party of Russia), Sergey Baburin (All-People's Union), Maxim Suraykin (Communists of Russia), Boris Titov (Party of Growth) and Grigory Yavlinsky (Yabloko). 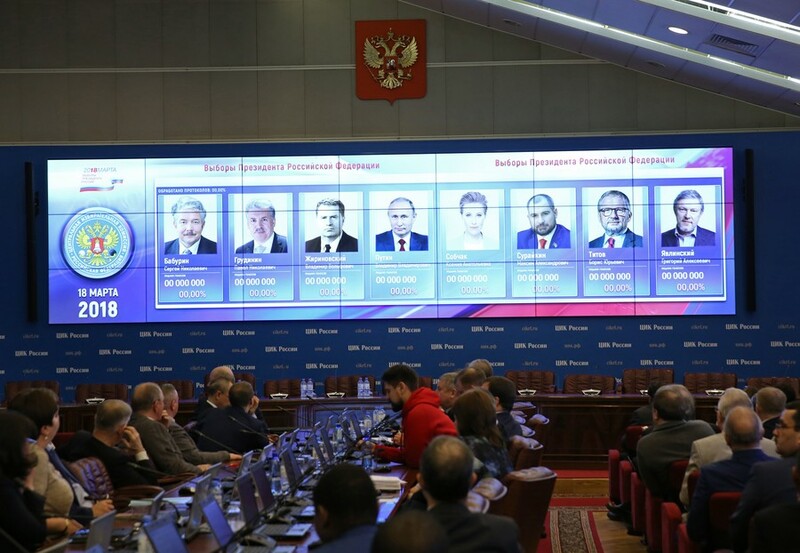 The elections, preliminary results of which will be announced on Monday, will determine who will serve as Russia’s president for the next six years.